First ever Memorial Dog Pillow in honor of Troy. 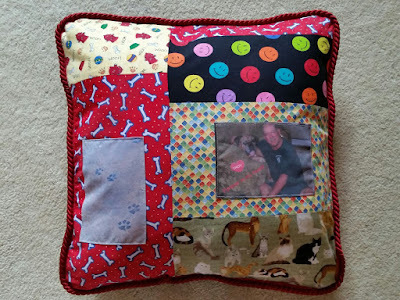 This 20" pillow contains all of his bandanas, a sweet picture of him and his owner, as well as his paw prints. 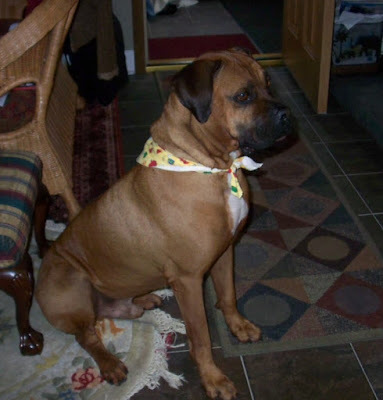 The paw prints were taken from an actual photograph of his paw prints and printed on photo fabric paper.